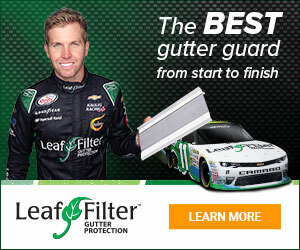 LeafFilter North - Very high Pressure Sales pitch..
Jan 31 Thank you for reaching out. It is certainly our goal to ensure every customer has an enjoyable sales experience. We will report your concerns to the corporate operations manager and have someone reach out to you shortly. My wife and I visited with a sales rep. from L.F. this morning and was very pleased with the product and most everything the Rep, told us.. After a roughly 40 min sales pitch, going through numerous pages of what this Product is and all the accolades that have been bestowed upon this product, we finally got the price to re-align some guttering and to install the Leaf Filter product... I will say, the product itself seems to be of very good quality, and the rep did a very good job of presenting all the attributes of the product. However, after he gave the price he started giving us some discounts to bring down the initial bid price, which was rather high (5400.00) for pretty much the product alone. (some re-align was needed on some gutter).. After 'these discounts' the price then was more in line with what I would expect to pay.. 3500.00.. I had set up a couple of other bids from different Companies and wanted to get a couple other options and prices.. That is when the PRESSURE became so great that there was then a very uncomfortable feeling between the Rep and my wife and I. IN MY OWN HOME!.. The rep, said that the discounted price was good until he step foot outside our front door. Yeah, that's right, once he stepped outside our house, the price was then back to the initial cost of 5400.00... The rep. became irritated that we would even consider using another service and then started with the SELF PITY that "perhaps I didn't give you a clear enough presentation".. I assured him . He gave a very nice and clear presentation and THAT ALL I WANTED WAS A 24 HOUR window to get other offers and think about if we really wanted to spend the money.. Again. the rep. got really short and 'warned' me that when he walks out the door the price goes to the 5400.00.... He did say, that is the what corporate has established to how they want him to present the bids. He then finished by saying "In the 2 years I have been a sales rep, for this product, I have NEVER gotten a call back to come and install the product".. OOOOKAY..
What I would say to Leaf Filter corporate is..... 1) If you are that certain your product is the best of the best, then maybe you should advise your reps to allow a 24 hour window so that potential customers have the freedom to compare products and prices.. 2) If the rep. really has never received a call back in the 2 years of selling your product, it could very well be, that there is far to much PRESSURE to buy at that moment, and maybe, just maybe, the rep. shouldn't get so uptight when a potential customer doesn't sign on.. Lastly, I don't know if we would have gone with Leaf Filter or not.. But the last thing Leaf Filter should want is to have customers feel uncomfortable in their own homes while deciding on using your product or not based on your reps demeanor!!!!! Reason of review: the initial consultation and bid. I didn't like: Sales pressure, Pushy sales. Review #1460308 is a subjective opinion of MeltedNurseShark.